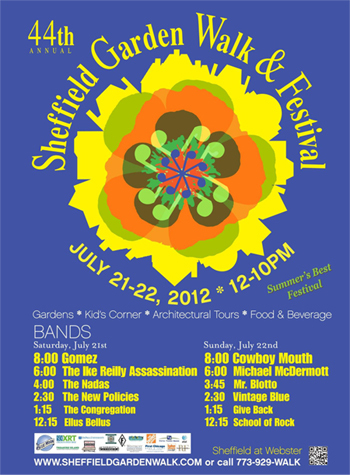 44th Annual Sheffield Garden Walk on July 21 - 22. 80 featured stops on the self-guided tour. We will have live big-band music on both days. and craft sale that you won't want to miss!